Part Number: A2038100217. Model: C-CLASS C200 KOMPRESSOR ELEGANCE AUTO. Model Series:W203. Body Style: SALOON. Part Type: Rear View Mirror. Vehicle Colour : Jasper Blue. Year:2000 - 2007. Fuel Type: Petrol. PART NUMBER : 026531. REAR VIEW INTERIOR MIRROR. PAINT CODE ( 787 ). Here we have a rear view mirror. MERCEDES C-CLASS W204 C350 REAR VIEW INTERIOR MIRROR. Parts bought and sold. New and used car spares. For Sale is a Interior Mirror. Removed from a 2016 MERCEDES 205 C CLASS 1991cc Petrol 4 Door Saloon. Please see item description for more information, you will receive everything you see in the images. Second hand parts may carry age related scuffs or storage marks etc. C CLASS W204. In a very good used condition, HOWEVER, it does have normal wear and tears, as well as minor SCRATCHES, on BOTH the cover and on the MIRROR, it will also have STORAGE MARKS. Fully operational and function as intended. Part numbers are provided to help identify the part and its compatibility. We have a wide range of vehicles and parts on site. would like you to know that we will do all we can to rectify any problems. Paint Code 197 Obsidian Black. Model code CL203. Parts bought and sold. Used car spares. Part number 2218110007 / A2218110007. FROM S CLASS W221. We are gladly at your service for any further queries. Goods will only be dispatched upon cleared funds. Key Features. Ending Soon. (Except Malta, Cyprus, Canary Islands). PREMIUM SERVICE. IN GOOD WORKING ORDER. The condition can be seen in the photos. Part Type: Interior Mirror. Year: 2005. In the event that a part is supplied and proven to be incorrect or faulty, Hills Motors must be notified within 48 hours. Factor Number Opening hours. Require different parts from this vehicle?. Interior Mirror. This part was removed from a Right Hand Drive Vehicle. Compatibility is a guide only. Your item will need to be signed for. Other Details. ML350 W163 FL 3.7 Petrol Auto. TRIM LEVEL. 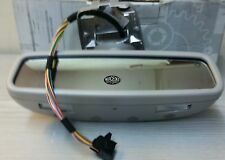 PART: REAR VIEW MIRROR A2118101817. In the event that a part is supplied and proven to be incorrect or faulty, Hills Motors must be notified within 48 hours. Part Type: Interior Mirror. We are unable to cover any labour costs. Body Style: Coupe. PRICE FOR 1 ROOF MIRROR. Removed from my 2001 A Class is it's REAR VIEW MIRROR that is IN GOOD ORDER. SO LOOK AT IT CAREFULLY AND MAKE SURE YOU ARE 100% HAPPY BEFORE BUYING! THE ITEM IN THE PICTURE IS THE. Part Number: A2208201735. See photo's for more information. (Part Number: 2118110107. 9) our warranty covers the cost of the part, and no other costs incurred. example, labour is not covered. cost of hire car is not covered. 7) gaskets, sealants and any bolt on ancillary is not covered by our warranty. FOR YEARS: 2005, 2006, 2007, 2008, 2009, 2010, 2011, 2012, 2013 (2007). OUR REF: 1451-02051817193629. Removed from a right hand drive car. The compatibility section is filled in as a guide only, This part may fit other models. This is a used part and may have marks and signs of usage. WHAT YOU SEE IN THE PICTURES IS WHAT YOU WILL RECEIVE! MY AIM IS TO MAKE SURE YOU ARE ALWAYS 100% HAPPY! Ø Almost all of our cars which we are breaking are right hand drive cars. Necessary information · Item will be sold as shown in the pictures! YOU WILL FIND MORE INFORMATION ABOVE. Used Condition! Have, minor mark, dents, scratches. All parts are used, fully tested and are in fully working order, unless stated in the title.